To be a world class community sailing center that enriches the lives of the individuals we serve. 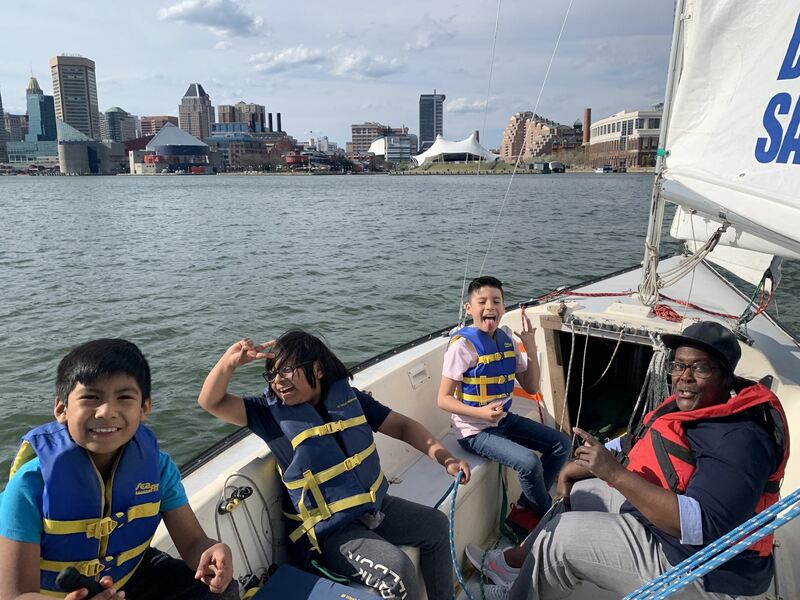 The Downtown Sailing Center (DSC) provides quality educational and life enriching programs that promote self-esteem and teamwork through the joy of sailing. The Downtown Sailing Center is committed to promoting an environment of inclusiveness and accessibility, especially to youth, persons with disabilities, and those with limited opportunity. The DSC Community is a group of members, participants, students, and volunteers whocome together through the sport of sailing. Community Oriented: The DSC serves the community, especially youth and individuals with disabilities and limited opportunities. Learning, Education, and Experience Focused: Education is the key to self-improvement; therefore the DSC incorporates education and learning into all its programs. Safety: The DSC has a deeply rooted, zero-incident safety culture that views safety as a part of our organizational ethic. Safety of our participants, volunteers, and staff is always our first consideration. Commitment to Quality: The DSC prides itself in the highest quality standards and is committed to continual assessment and improvement in order to deliver outstanding programs. Inclusiveness and Diversity: The DSC welcomes and seeks to engage all persons, regardless of race, ethnicity, religion, age, gender, sexual orientation or level of ability/disability. Volunteerism: The DSC depends on a large volunteer base to support all aspects of our programming. Respect: The DSC believes that all people should be treated equally with respect and dignity and strives to create a community that embraces this value. Community Service: The DSC strives to become a cornerstone in our community and encourages service and volunteerism. Flexibility: The Downtown Sailing Center recognizes that sailing requires us to monitor and adjust to ever changing conditions. We take that lesson and apply it to everything we do, always remaining open to new opportunities. Commitment to Constant Improvement: Through careful evaluation and a commitment to honest review of our operation and mission, The Downtown Sailing Center commits itself to always striving to improve and progress.